If you’re the kind who wants it all, the Ultra Limited gives it to you. From the powerful all-new Twin-Cooled™ Milwaukee-Eight™ 107 engine, right down to the heated handgrips. The unmistakable Batwing fairing and Splitstream air vent mean optimal air flow and reduced head buffeting. Premium BOOM!™ Box 6.5 GT touchscreen infotainment and navigation allow rider and passenger to ride to any soundtrack they choose. 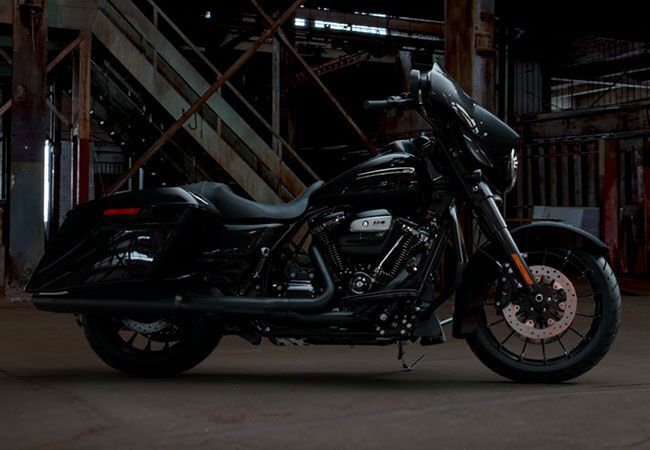 Electronic cruise control, Reflex Linked Brembo® brakes with ABS, dual LED Daymaker™ headlamps, a premium Tour-Pak® carrier, which can house both rider and passenger helmets, luggage rack and one-touch saddlebags all come standard. Which means the ride you’ll experience is anything but standard.